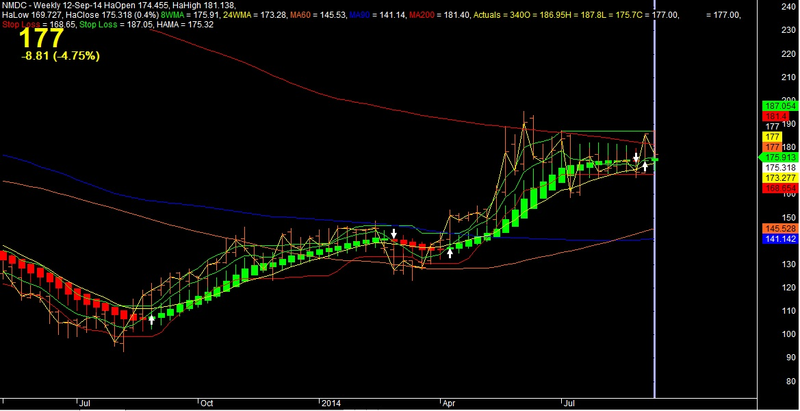 1 - It initiate to take long trades on 2nd bar of weekly chart, when HA-Close get over HA-Open and vice versa for exit. 2 - Entry and Exit will be always at last day of week (Friday) except if there any holiday on Friday. 3 - No Frequent position change and call to exit and new position will be generated by system. 4 - System is programmed to sense the selection of stock based on RSI of 10 week low ranking in case of multiple choice due to highest sensitivity of RSI co-relation to price action. 5 - System has been programmed to well behave with optimized risk and money management. 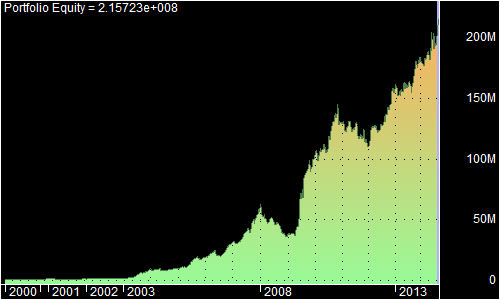 6 - At any point of time system will open max position of 7 stocks for better portfolio management and risk control. 7 - Risk management is capitalized to open new position with 1/14 portion of your existing cash in hand after profit / loss adjustment. 8 - System will keep reinvestment profit / loss to stay remain in market in all condition to capture all favorable moves of market and to have less impact of non favorable move on same time due to optimum risk management. 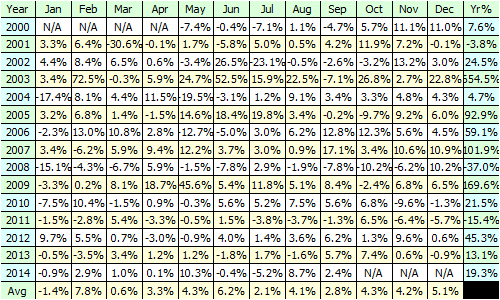 Average Annual Return = 44.18 % p.a. Disclaimer - The advice provided on this blog is general advice only. It has been prepared without taking into account your objectives, financial situation or needs. Before acting on this advice you should consider the appropriateness of the advice, having regard to your own objectives, financial situation and needs. Past performance is not indicative of future performance. equity-control.blogspot.in disclaim all and any guarantees, undertakings and warranties, expressed or implied, and shall not be liable for any loss or damage whatsoever (including human or computer error, negligent or otherwise, or incidental or consequential loss or damage) arising out of or in connection with any use or reliance on the information or advice on this blog. The user must accept sole responsibility associated with the use of the material on this site, irrespective of the purpose for which such use or results are applied. The information on this blog is no substitute for financial advice.